What a difference a century makes, more or less. The 1917 Detroit Electric Model 68 in these photos was painstakingly restored over a period of years by owner Donald Davidson, who is only the car's third owner in 98 years. It's shown with Electric Auto Association board member Chris Neff's 2014 BMW i3 REx, which may be able to out-accelerate the 98-year-old car--but has nothing like the amount of velvet and brocade inside. Davidson bought the Detroit Electric in December 2007 from its previous owner, Ray Adcock, in South Carolina. He'd bought the car from its original owner in the 1950s, and wanted it to go to a good home. The restoration took three years, and the photos of the completed car were taken in December 2010. It's worth noting Davidson also has a Ford Model A pickup truck, and a few Stanley Steamers as well. 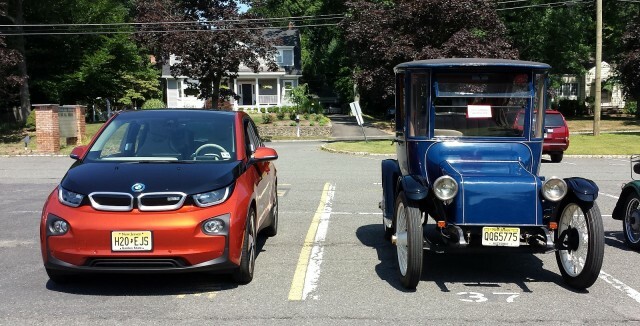 The photos were taken at a Cars and Croissants gathering in northern New Jersey, where advocate Chris Neff frequently shows off his 2014 BMW i3 REx and answers questions about electric cars in general. Neff had the idea of photographing the two cars side by side at the event early this year (and a Tesla Model S snuck into one shot as well). He notes that the Cars and Croissants event now attracts as many as a dozen electric cars, and they've now got their own section. The owners answer questions from new attendees and curious onlookers every single time, he said, and are now an expected part of the event. 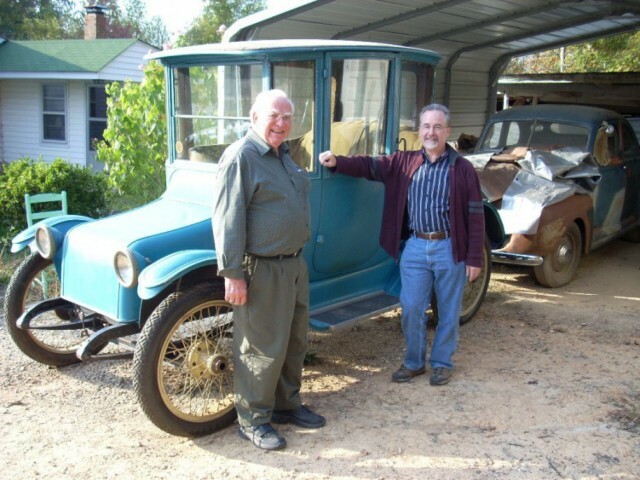 Some of the photos and the facts in this article were taken from a long profile of the car and Davidson's restoration of it in Current Events, the magazine mailed to members of the nonprofit Electric Auto Association. For more information on the EAA, which will celebrate its own half-century mark in two years, see the group's website. 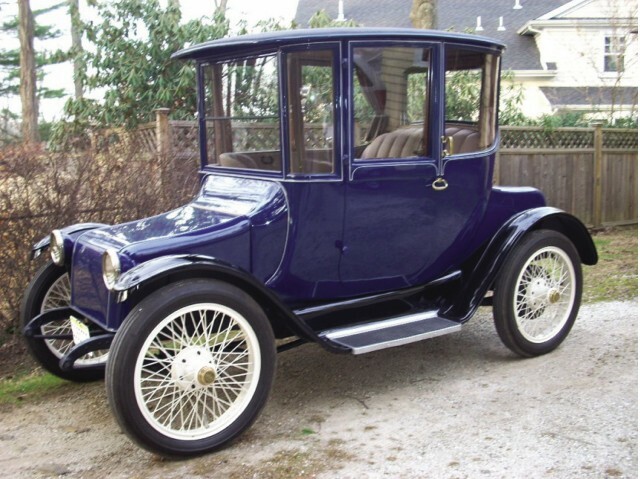 And if you happen to be in the Northeast and want to see Davidson's 1917 Detroit Electric in person, it'll be at the group's National Drive Electric Week event in Morristown, New Jersey, on Saturday, September 19. Details on that event here.